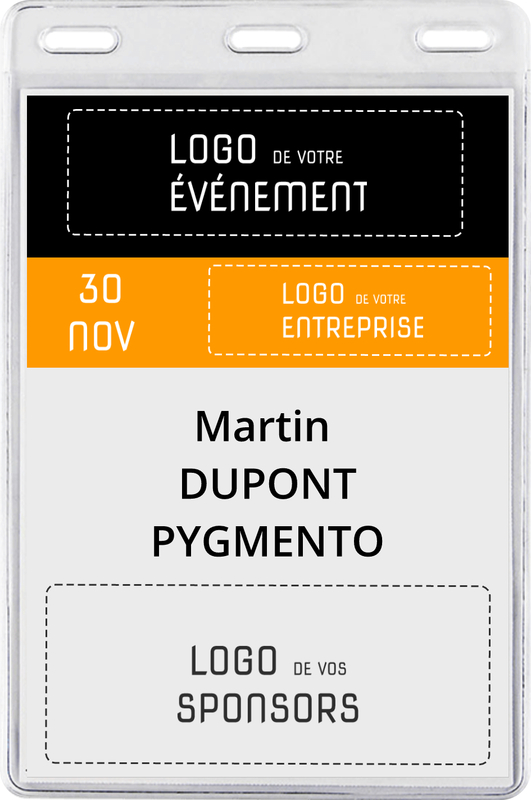 People will remember of your event with this original and visible event badge! Why to do things the hard way when everything can be simple? You have so much to do! 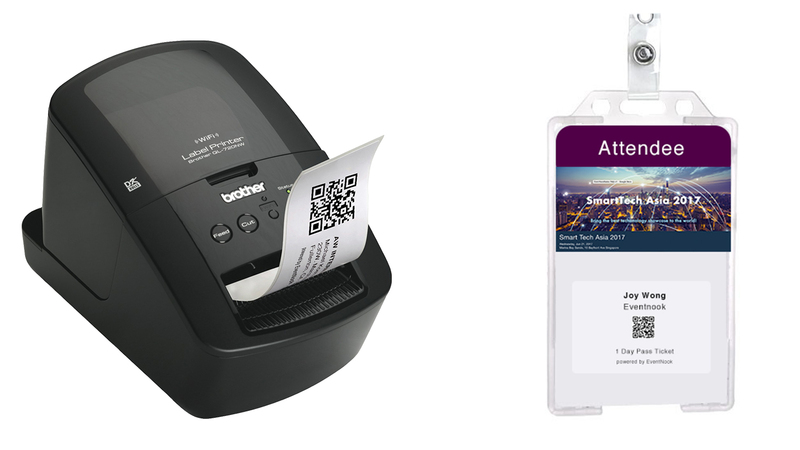 The event badge Large Pro offers you the possibility of displaying a maximum on an original and quality support. Put forward your brand. The participants will be proud to wear it and they will remember your event! 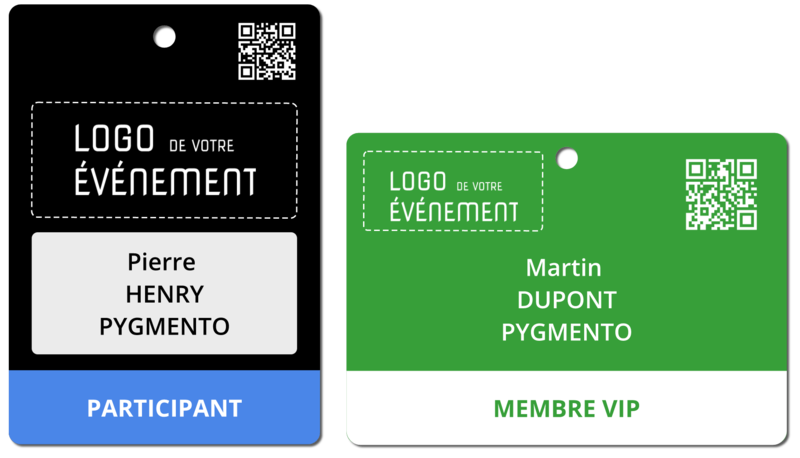 Our event badge is produced in France and the finishes are hand-made for an optimal quality control. Do not hesitate to contact us for particular finishes. Pygmento proposes discounted prices in exchange of visibility. Contact us to know more about it! 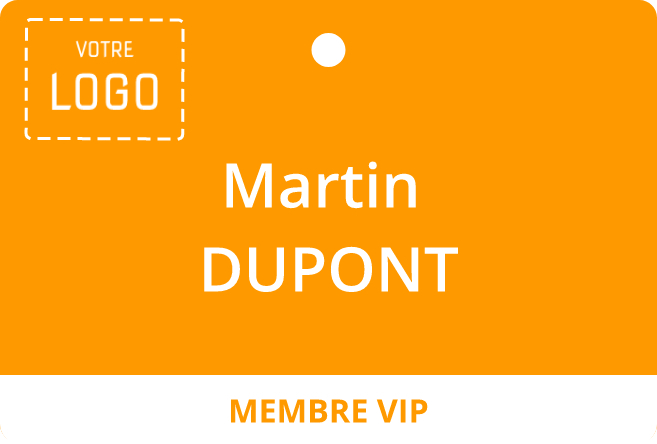 Customize your conference badge online, import your participants and add lanyards during the order. You will have badges ready to be distributed! So that your members are satisfied, we selected quality lanyards easy to attach. 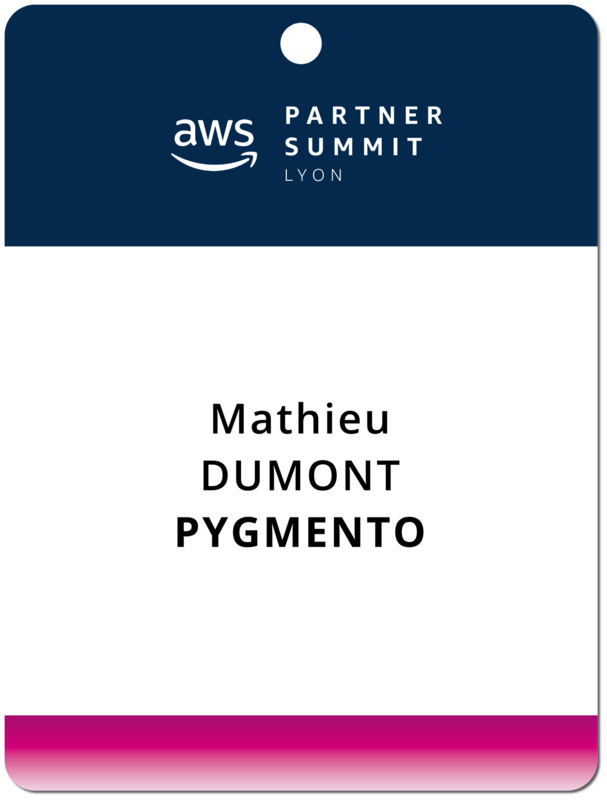 At Pygmento we prefer not to send you lanyards already attached to the badge. So it will avoid you wasting time to disentangle them. We encourage the organizers to distribute badges and lanyards separately to the participants. You can order lanyards customized with your event logo, your sponsors logos, etc…. For the customized lanyards, contact us to have more information and obtain an estimate. Find the badge that reflects your event. We can advise you! The C-Card format is a classic one. It will suit perfectly for your staff, for the members of a club or an association. This badge which we often see on fairs allows a greater visibility. Add for example the event schedule, your sponsors or also your partners there. Because when we organize an event it is necessary to think of everything, we also propose you packages for CheckIn and on-site printing solution for the last subscribers to your event.